Matthew wrote a piece for The Guardian, Saturday December 5, 2009, to mark the fourth anniversary of his original article about Laurie, and announce the near-completion of the new unit at Birmingham Children’s Hospital. Matthew’s account of Laurie’s illness appeared in The Guardian on 3 December 2005. Matthew’s article appears in full in the 2006 edition of The Guardian Year. 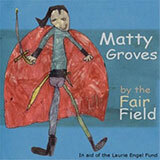 Matty Groves by the Fair Field. A CD for Laurie performed by a group of his friends from Fairfield High School. Laurie had a wonderful singing voice, and just before he got ill his favourite song was Matty Groves, a traditional folk ballad that had been recorded by Fairport Convention. Now, as a tribute to Laurie, his singing teacher Janita Haan Morris and a group of colleagues and pupils at Fairfield High School have produced a distinctive new version of the song on a CD. Price £5 or whatever you wish to donate, plus £2 postage. All proceeds to the Laurie Engel Fund. Please order by email at laurieengelfund@gmail.com giving your address for delivery and the number of copies you would like. Cheques should be made out to Teenage Cancer Trust and sent to Fair Oak, Bacton, Herefordshire HR2 0AT; or you can pay online by using our JustGiving page, saying that your donation is for the CD. A book edited by Hilary that tells the story of Laurie’s life in his own and others’ words. 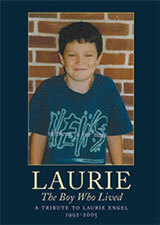 The first half of the book is a collection of Laurie’s own writing, from when he was little until he became ill. 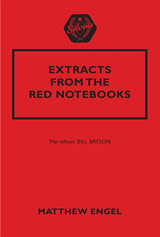 It includes school projects, short stories, poems, and letters, many lit with his quirky sense of humour, many poignant, some surprisingly mature. The second half consists of tributes from relatives and family friends, from his school friends both in America and England, from teachers and medics, as well as the addresses given by his parents at the celebrations of his life. The book is illustrated with photographs, and with Laurie’s own drawings. 160 page paperback. Price £5 or whatever you wish to donate, plus £2 postage. All proceeds to the Laurie Engel Fund. Cheques should be made out to Teenage Cancer Trust and sent to Fair Oak, Bacton, Herefordshire HR2 0AT; or you can pay online by using our JustGiving page, saying that your donation is for the book. Matthew’s book, published by Macmillan, is a collection of quirky quotes, jokes and facts jotted down over more than a quarter of a century. It has already won rave reviews from Bill Bryson, John Cleese, Sebastian Faulks, Maureen Lipman and Jeremy Paxman. To read Matthew’s Financial Times article about the book, click here. All royalties will go to the fund. Please contact us to buy copies.